Look: we gave your organization over $100 million in the depths of the worst recession since the Great Depression. Despite being the sixteenth largest metro area in the country, the Minneapolis metro area – population 3.3 million – has built the sixth largest orchestra endowment in the United States. The size of our orchestral endowment only trails Boston (population 4.6 million), San Francisco (population 4.4 million), Chicago (population 9.5 million), New York (population 19 million), and Los Angeles (population: 13 million). 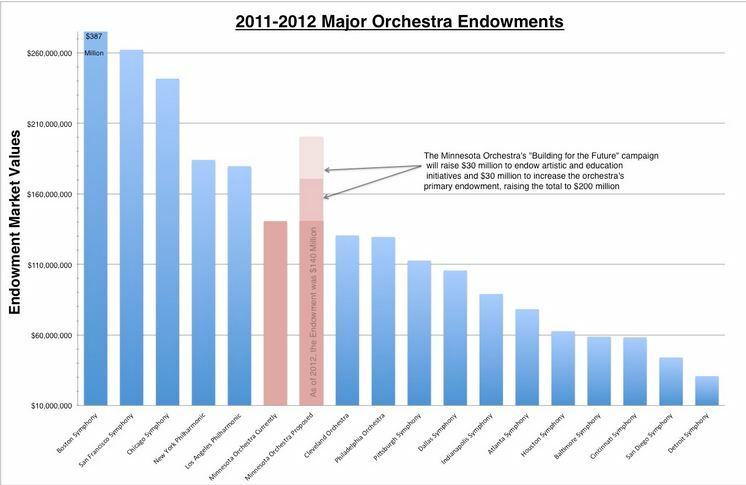 All of these orchestras have base salaries of at least $128,000 (which, by the way, is nearly twice the $78,000 base you’re proposing here in Minnesota). What more do you want from us? Why, Mr. Henson, are you failing to provide us the product we’re clearly paying the Minnesota Orchestral Association to get? They’re getting the product in other cities. So why can’t you deliver it here? Okay. Here. Put all those facts and figures aside for a moment. Consider for a moment a completely separate fact: we don’t know what our community can afford, because for a period of years, Mr. Henson misled Minnesota about the state of the Orchestra’s finances. We weren’t told our orchestra was in danger, and we were never given the opportunity to step up to the plate to save it. The way things went down these past few years, no one is qualified to say what kind of an orchestra Minneapolis can and cannot afford – not management, not musicians, not me. Nobody. End. Of. Story. When Mr. Henson can build a time machine, go back in time, and see what his telling the truth does to fundraising, then maybe we can have a discussion grounded in actual fact. I’d like to make two final points. The first is to thank you, the legislature, for the $14 million in bonding dollars you appropriated the renovation of Orchestra Hall. That project is one of our major revenue generating initiatives outlined in our strategic plan, and is one of the fiscal solutions to our current financial challenges. Has anyone seen any studies of how the new hall will increase revenues, and by how much? I have found nothing on this point, and trust me: I’ve looked. The building project is on budget and on pace for our 2013 opening and we are currently employing approximately 130 union members of the building trades as we speak. When I first visited the site, I was asked by a construction worker what I did and he thanked me and thanked the organization. He said it enabled him to actually sustain a job for a year during this project, and he had been out of work for a number of months before that. We’d like to thank you for making that possible in terms of creating job stimulus. Shall I go on? Because I could. Besides, his premise is a faulty one. Why not employ unionized construction workers and unionized musicians…as was the state’s expectation when lawmakers agreed to give the MOA $14 million? I have to be honest: at this point, I cringed for Mr. Henson, his PR people, and the entire Minnesota Orchestral Association. And then after I heard the musicians’ and Orchestrate Excellence’s testimonies, chock-full of facts and figures, I cringed again, this time retroactively. What an embarrassment. Mr. Henson had his moment in the spotlight – a chance to blow us away with his airtight logic – and he completely utterly blew it. Secondly, I know that it has been a point of concern for some legislators that our yearly operating support from public money might be used to fund our current negotiations or lockout. In order to eliminate all concerns around this point, we’ve sequestered in a separate account all state monies received to date this fiscal year, and we will continue to do the same going forward until we’ve reached our contract resolution. I reiterate that point: no state monies have been or will be used to fund these negotiations. This is all well and good, but interestingly, Mr. Henson doesn’t mention the other points of concern that legislators have: that Mr. Henson lied to legislators about the Orchestra’s fiscal health, and that he approved the “strategic” reporting of deficits in order to be better positioned to receive state money. I wonder why? On a personal note, I would like to close by noting that I have worked my entire professional life managing symphony orchestras in various cities around the world. 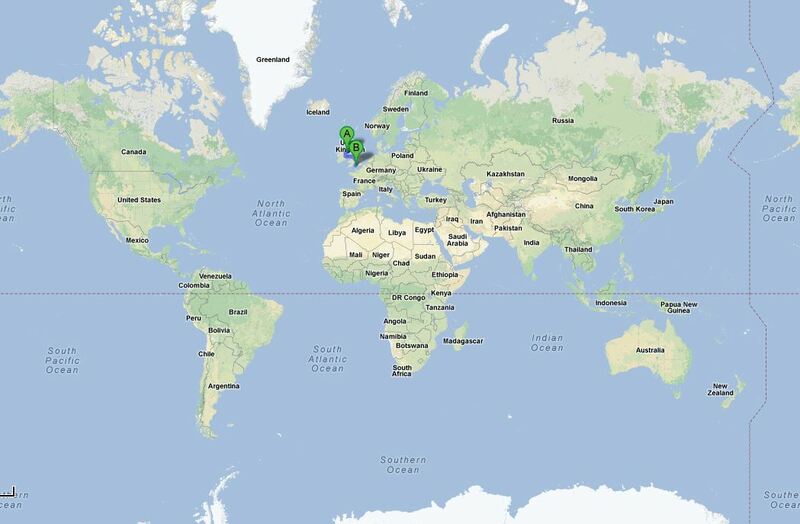 Clarification: According to Mr. Henson’s own biography, Minnesota is the first orchestra he has managed outside the UK. Previously, he headed the Ulster Symphony and the Bournemouth Symphony. That’s it. Normally I would let something relatively minor like this slide, but it’s evidence of a repeated pattern of slipperiness and exaggeration, so I’ll include it. My family and I were drawn to Minnesota and to this great orchestra because of its outstanding reputation. I think the Minnesota Orchestra’s reputation has been wrecked for years amongst musicians by recent events, especially amongst the musicians who they would most want to recruit – those at the top of their game. No more need be said on that point. Along with our board of directors, I see it as my duty to ensure the Minnesota Orchestra remains artistically excellent and financially solvent for the future. These two goals are entirely possible to achieve in tandem, and it is only by achieving artistic and fiscal strength that we can ensure our orchestra will be around to serve this community well into the future. An orchestra does not recover easily, from such drastic cuts, if ever. Is Mr. Henson insinuating he knows better than these three exalted gentlemen, with over a century of knowledge between them? If so, bwa-ha-ha. Mr. Chair and Representatives, thank you very much for giving me the opportunity to speak to this committee. And thank you, Mr. Henson. Could you speak to one point that I believe has been raised, and that is, at the time the $14 million was awarded, the Capitol dollars from the State, was there an awareness or expectation of the possibility of a lockout, or did the economics of the orchestra tend to indicate that that might be a possibility at that time? There’s been no intention at any point during the application for those fundings to actually have a lockout. The board managed responsibly a very challenging situation three and a half years ago and we continue to hope that we weren’t going to have a lockout as we actually approached the conclusion of the negotiations that we had at the start of October 2012. The role of the consultant would be to create consistent messages throughout this process, and help us to address the many constituencies that we serve, including the board, staff, corporate sponsors, foundations, individual donors, and public entities. We have interviewed two firms, and are recommending the engagement of Padilla Spears, & Beardsley. They specialize in crisis management, and their team includes a member with union experience… The fee would be $55,000 per year for three years, with a $15,000 contingency, at the options of both parties. Clearly the MOA was “expecting” a work stoppage in the summer of 2010. And not only that, but they were expecting they’d need a PR firm to work with them until September 2013…roughly a year after the expiration of the musicians’ 2007-2012 contract. And they chose who they did in part because they “specialize[d] in crisis management.” Soooooo. What happened between January 2010, when Mr. Henson requested state money with no expectation of a lockout, and September 2010, when he was clearly expecting an imminent union “crisis”? Surely something huge happened behind the scenes to totally completely utterly turn his expectations upside down. If it didn’t, Mr. Henson was misleading, if not outright lying, to the legislature on the 23rd. And it adds an extra layer of slime to his testimony in January of 2010. So. I’ve written quite a bit here, and made quite a few accusations. Mr. Henson is, as always, welcome to engage with me. He won’t, but he’s welcome to. In the meantime, I’ll be sending this essay to Representative Atkins along with my thank-you note for holding the hearing. Even if I didn’t learn a lot about why the Minnesota Orchestral Association is behaving in the manner it is, I did learn how weak Mr. Henson’s best arguments are, and how utterly untrustworthy he is. And that’s not nothing. As always, extremely well done, Emily. Glad you are sending it to Rep. Atkins. I’m wondering if this would be a good time for another letter writing campaign? This time directed solely at the state legislature. Maybe get SOTL followers ,Orchestrate Excellence members, SOSPCO supporters in on it. I know they were represented at the hearing but it would be powerful to have a thousand or so signatures on something for the state leaders to see. That’s a great idea. I’ll be in touch with some people and see what I can do. If stuff isn’t public now, a lot of it will be once that hearing begins. Talk about grist for mills . . . I also emailed Rep. Atkins with a few more salient points. I trust he will investigate if he thinks proper. The simple truth is, seems to me, that the current leadership of the MOA hates organized labor more than is loves classical music. This whole thing is about an anti-union mind set. We vs. them. The numbers given don’t make the case that it is about a financial melt down. Your beginning paragraph says it all: raised over 100 million in the midst of the worst economic downturn since the great depression; sixteenth largest metro area in the country, but has the sixth largest endowment in the country, behind much larger metropolitan areas–Los Angeles, San Francisco, Chicago, New York and Boston. Besides that, as Emily states, this community was never told that the orchestra was in trouble until recently, so how does anybody know what “we can afford?” The probable reason we were never told is that if the books had been open, it would have been plain to see that the MOA projections of a coming disaster were not true. I’m not a wealthy person, and I can’t make huge contributions. But if I were convinced that the Minnesota Orchestra was in serious decline, I would be more than willing to dig deep in my pockets and give whatever I could. But knowing, even in the midst of this very serious recession, that they still have an endowment of, I dunno for sure, but it sounds like about 170 million, and that they just raised 100 million during these very hard economic times, and they’re spending 52 million on a lobby, which wasn’t the nicest lobby around, but it worked well enough–well, why the hell should I give anything? The projections of losing the endowment at the current rate of drawing down in five years comes from a board leadership that has lost credibility. This deserved reputation is largely due to their playing a financial shell game with both the legislature and the public at large, and probably many of their wealthy donors too. I pledge, if we get through this with an intact orchestra, I will never again take it for granted that the Minnesota Orchestra–one of the grand old orchestras of this country–will always be. I will support it in any way a man of my means can. But I will never give even a dime directly to the MOA board until I am convinced that new leadership is at the helm, and that it is both honest and competent. These are all great points. I have a generic question: at what point do the musicians send out a counter proposal that contains all of these facts? When does that happen? I’d like to think of myself as somewhat neutral–leaning towards the musicians more than management–and you make great points about the testimony. But when does the musician’s group sit down with the press or with management or with both and lay out their plan for the future? They have all these great points but I’m not seeing them totally rolling through the public with them–at least not through the more “major” media outlets. If they have, could someone point me in that direction? I’d like to get a read on what the musicians’ themselves are doing and proposing. First off, the musicians offered in September to submit to binding arbitration. To the best of my knowledge, no other group of musicians in the history of American orchestras has ever offered to submit to binding arbitration before a work stoppage. Management turned that down, saying they did not want to cede control to an outsider. So that was one “counterproposal”, you could say. So, to sum… I believe the musicians will be talking more about what they want, once (if) both sides agree on numbers.